Summer is definitely here! The heat has become close to unbearable and all I want to do after coming in from the heat is take a nap. Sigh. Well, at least with the warmer weather, I can prance around in high-waisted shorts and vintage florals. I am now totally addicted to shorts. Just need to make sure to carry my bug repellent with me at all times. Those suckers can sense my presence even before I get out the door. 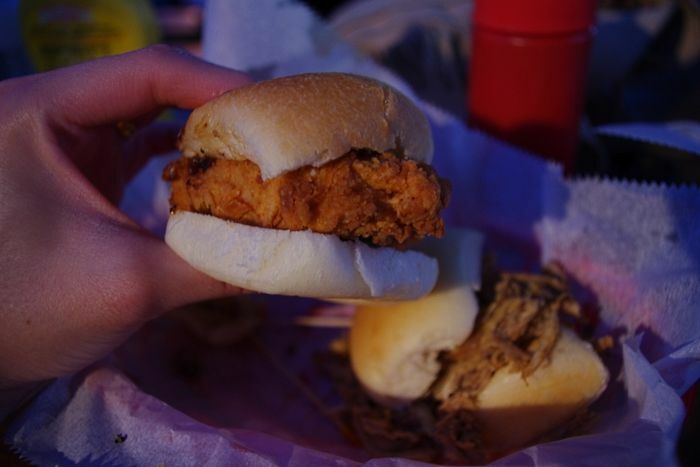 Later that evening, I ate my very first Little Big's slider. Bryan Caswell, the owner of Reef, opened up the joint about a year and a half ago, and I'm still surprised why I never wound up here on a late night food binge. 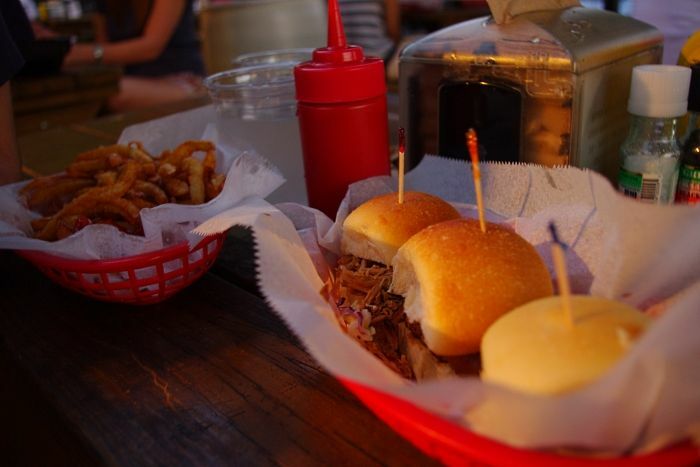 I mean, they have everything I need- sliders, wine, and beer. Oh, and did I mention they also serve White Russian milkshakes? When you think of Sliders, White Castle comes to mind, but here, it's all about mini-burgers with a gourmet twist. 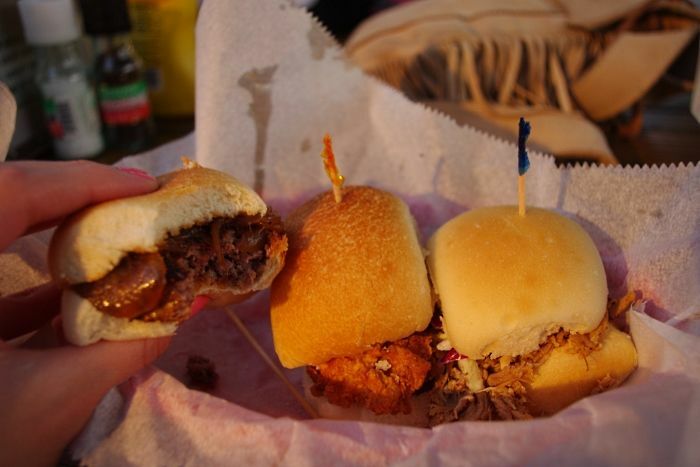 B and I tried their signature beef slider topped with caramelized onions, the breaded chicken slider, and the Carolina-style pulled pork slider. My favorite was the pulled pork. 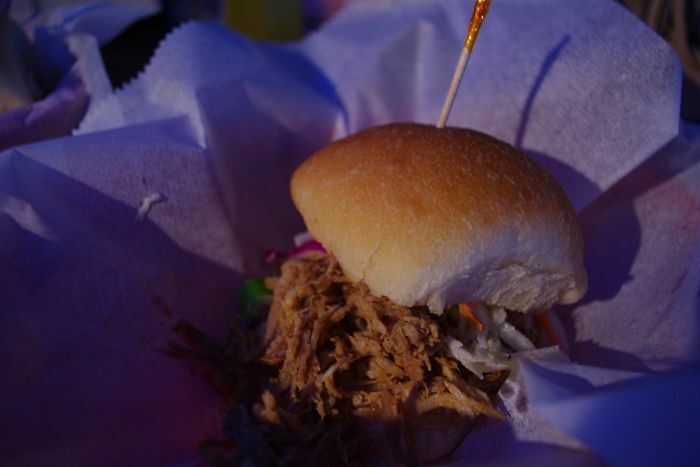 It was sandwiched between just the right amount of slaw for that scrumptious crunch and texture. And to think that I didn't even know what Sliders were until a few years ago. Thankfully, they're open til 3am on Fridays and Saturdays. Your shorts are just fabulous. Love the shoes, perfect with your outfit, great stlye! Don't floral tops make you just feel especially lovely! The menfolk like the florals as well, so girly! Thanks for the comment! Your blog is beautiful!! Love your outfit and the food you had looks and sounds amazing!! i wish we had a place like this where I live. cute seashell belt, I love those. Great outfit and those sliders look incredible! Love your pants and top!! You are incredibly beautiful and I just love your sense of style... wow, wow, wow! You look amazing, Love the high waist shorts!! Wow dear! you and your blog are so cute! I love this outfit: it is so chic and simple! your photos are fantastic and your blog too! Those shorts look sooooo cute on you! More please. Your outfit totally rocks you look so cute! I really love your shorts and your shoes!! This whole outfit is so perfect for summer! You look pretty Love the shorts especially. That belt is just gorgeous...and now I'm hungry. HA! I was going to tell you how much I love your shorts but really, I love it all! The shellb elt is so good. Adorable look! the seafoam green and the floral is just adorable! oh my goodness, i love your bag!! Love this outfit, especially your accessories! So great. Thanks for your lovely comment - I'm so pleased to have discovered your blog! Now following! aaahh!! i love your shorts!! This outfit is really great!!! Love those shorts and the bracelet! Follow your blgo since now, is so cute! 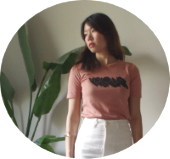 thanks for coming by the blog!! I'm glad I got to discover yours! Oh my cute outfit, love it! 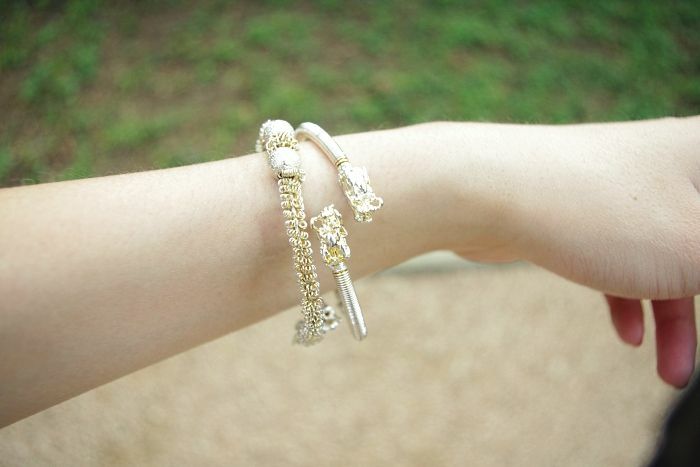 In love with your bracelets and bag! Adore fringe! ummm YUM, that just made me so hungry. is it weird to eat hamburgers for breakfast??? ps love love that outfit, and the bracelet! I love your blog and your photos!! Love the outfit! Those are some seriously awesome shorts! 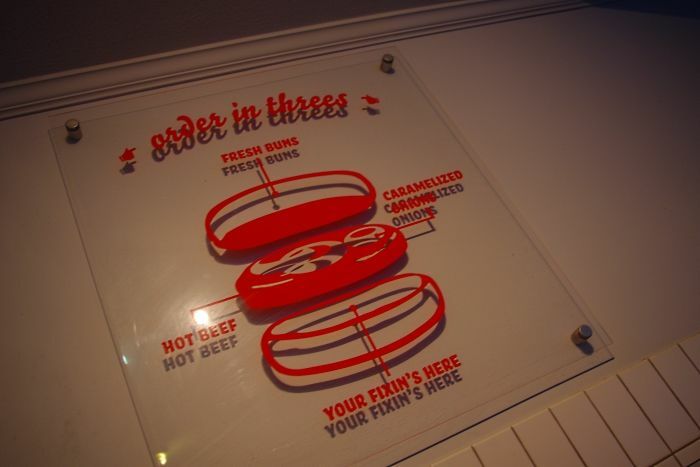 And... *drool* those burgers look amazing, what a cool restaurant! OHHHHHHHHHHHHHH MYYYY LORD!!! THOSE MINI BURGERS LOOK ABSOLUTELY DELISH!!! I'm starving now. . .
Love your outfit - you look great! You have a nice blog !! 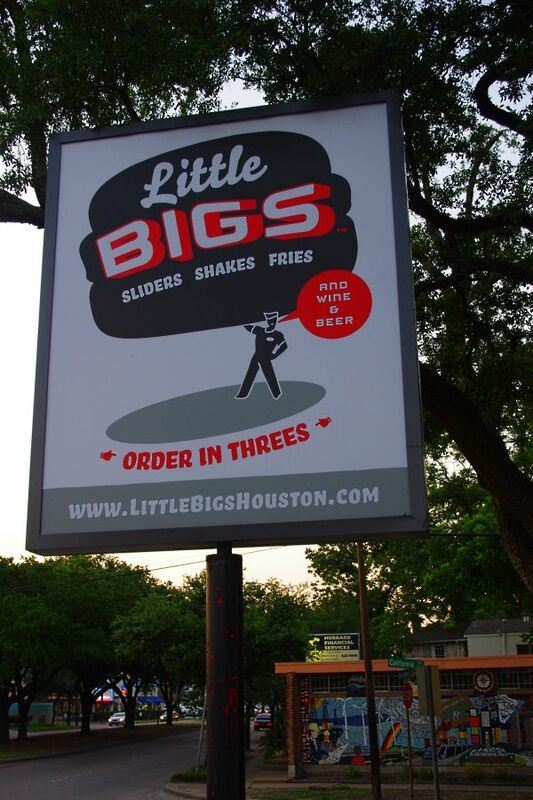 yummm Little Bigs! 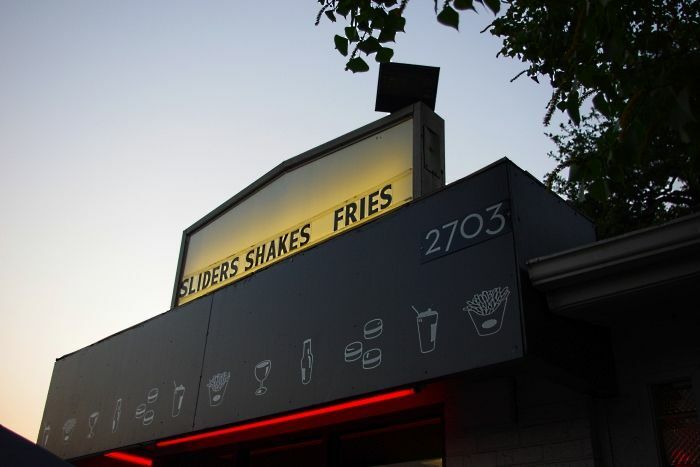 they have the BEST fries. Where's your bracelet from? I like! I might also fork out $30 for that water bottle.. I hope it makes that noise irl. Am so in love with those bracelets. I would kill for them. They literally are brilliant! and i love your shorts! theyre too cute! Thanks for your comment :-) Am your newest follower. You look fab in those shorts, what a neat figure you have! mmmmh yummy! btw check out my new post with short movies from Dior and LV and let me know what you think! 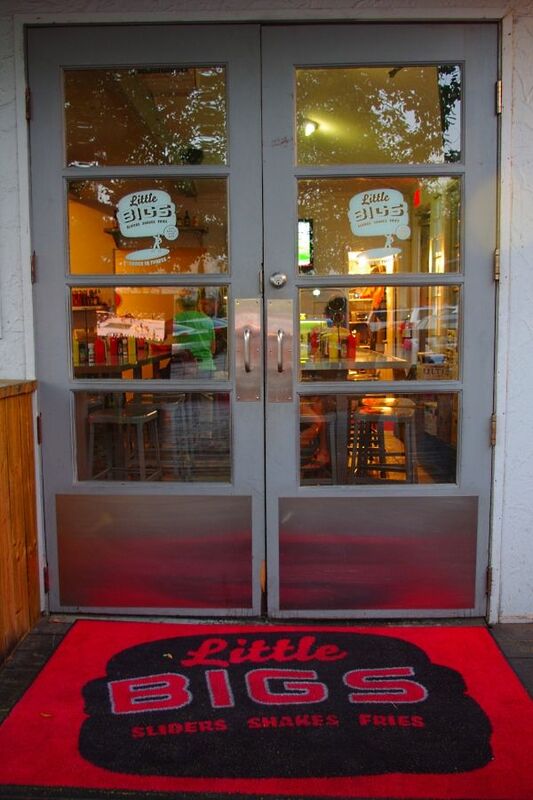 clouds of tulle: Yes, Little Bigs' hand-cut fries are absolute yum!! The bracelets were from The Guild Shop. That place has an amazing selection of vintage jewelry. You should definitely pick up one of those water bottles. I can't wait to get mine. Plus, it will be good for the environment! ooh all that food looks pretty yummy! I adore your shorts and those jelly shoes are so cute. hey, i thought that was you! it's virgin! saw you on bloglovin'! cute outfit!! r u still in houston? Aaaah, and here are the photos I have just voted on! You look like an absolute dream, I'll keep my fingers crossed you win! That outfit is gorgeus and I gotta love that belt! !